Completely Knocked Down. What does it mean and why is it used? As we know, cars are produced all over the world. The well-known car-manufacturers assemble cars in different countries. Sometimes the necessary parts for the cars are shipped overseas from suppliers to the plants, sometimes suppliers are settled near the plant in the foreign country, and sometimes something completely different happens. CKD is the keyword. CKD stands for Completely Knocked Down. The term has its origin in the automotive industry and refers to a form of production of vehicles. 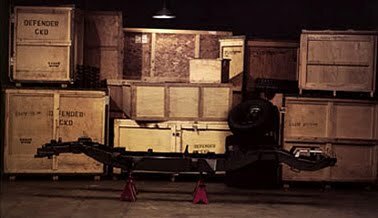 The car manufacturer exports a not-assembled vehicle in the form of individual parts that is assembled into a finished vehicle in the respective country of import and sold there. In addition to individual parts also partially prefabricated vehicles are exported as Semi-Knocked Down (SKD) or Medium-Knocked-Down (MKD). Main reason for the CKD exports are mostly high import duties for complete end products, whereas partially dismantled or completely knocked down products have often considerably lower duties. Another reason is the start of local production, especially in emerging countries. So how does this procedure work? Just like your LEGO! 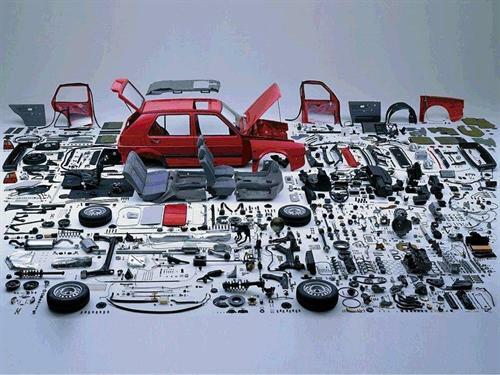 At the car manufacturer, the body and corresponding individual parts are removed from the normal manufacturing sequence and packed. These parts will be sent to the destination country . Once there, the parts get assembled and completed with parts to meet the requirements of the country (local content). The main advantage of CKD is the avoidance of high import duties on finished products (CBUs “Completely Built Units”). Non-European countries impose some duties between 30-300% of the value to protect the industry and therefore the jobs in their own country. In the disassembling of the product according to CDK-principle duties of only 25% of the goods value will be charged. A major disadvantage in the choice of CDK strategy, the problem of shipping can be seen. The parts must be packaged individually or in groups and be sent. Defective, damaged or lost goods may delay the manufacturing process in the country. It must also be noted that the packaging material is expected to be in the calculation of the production. DOES WINE HAVE TO BE IN A BOTTLE? My HOF3M Project was related to the wine production and emphasizing on the exportation of the product to other countries. After working on it and developing the business concept I asked mysef why do we always think in wine inside a glass bottle? Nowadays we try to develop ways of reducing logistics costs in every product, even though, it reduces slightly its quality or changes the sterotype. So…why could not this “glass obsession” be changed? The main advantage of keeping the wine in glass bottles is that it is a way of keeping the product quality for a longer time. Oxidation takes a longer time to happend and temperature is well preserved. Nevertheless, the main reason of it is because we have always thought in wine inside a glass bottle. If we throw a party in our place and one of our friends appears with a carton of wine the first thing that comes to our mind is probably that he could have spent a couple of euros more and brought something “drinkable”. It is obvious that in the case of high quality wines the product must be bottled. But if we are talking of a medium quality wine that is supposed to be consumed during the next weeks…why could not be sold in other types of packages that allowed its price to be lower being then more competitive than other brands and offering even a better quality. Some facts than I have founded reading about is that in the US a 90% of the total wine sales in consummed in 24 hours after its sale. Moreover a TetraPak system for example could reduce in around 75% of packaging and 50% in transportation costs. What at the end is translated in a price reduction. 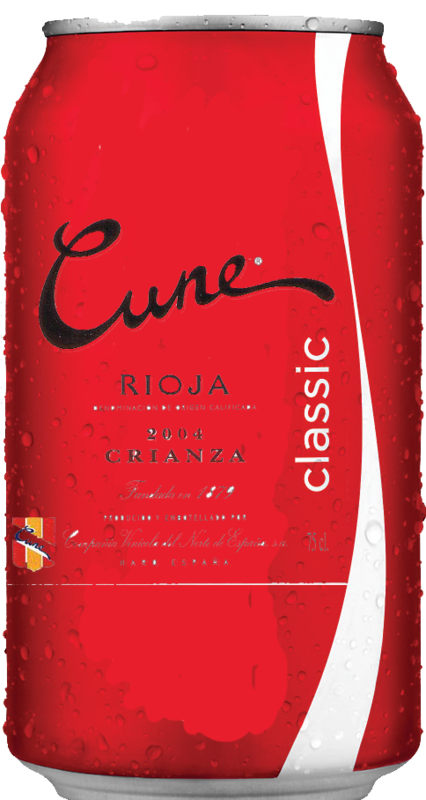 Do you imagine drinking wine in a can such as a Coke? Well…I can! The modern concept – CSRP (customer synchronized resource planning) – covers almost the entire product life cycle. This is very important from the point of view of cost management. To understand how much it costs the promotion, production and maintenance of the product, you need to consider all the elements of its functional life cycle. Often the cost of service, logistics and marketing are considered as overhead. From the standpoint of accounting it could and good, but not in terms of cost management and evaluation of the real costs. The latest of productive resources management concepts – CSRP (resource planning, synchronized with the user) has been proposed by SYMIX. The essence of the concept is that the planning and management of the company can and should take into account not only the basic manufacturing and material resources of the enterprise, but also all those who are generally regarded as “auxiliary” or “false.” This is the resources consumed during the marketing and the “current” work with the client, after-sales service, transhipment and service operations, as well as intrashop resources. This approach is crucial to improve the competitiveness of enterprises in industries where product life cycle is small and requires respond quickly to changing consumer desires. Ability to interact multiple applications developed using different technologies – a key condition for the success of CSRP. It is now possible to build a unified application for production management based on individual modules made by different manufacturers. Production, management, sales, customer service, maintenance and other customer-oriented business functions can be performed in the relevant parts using specialized software. In this case the application will receive and provide business-critical information from the central business system based on the CSRP and used by other parts of the organization. Decathlon has redesigned its logistics network with the introduction of a new infrastructure plan that was completed in 2005. The first step was the opening in Paris of a large continental 50,000 m2 warehouse, to be in stock and that will serve the rest European products to the stores. The new scheme includes the creation of a second type of store. In the future, the multi-regional facilities, will cater to the twelve regional warehouses that the French firm has in Europe. It is planned to build three of these distribution platforms on the continent, but none of them will be located in Spain, where the company has two regional centers, one in Getafe (Madrid) and one in Sant Esteve de Sesrovires (Barcelona). The backbone of the logistics chain in Europe will be completed with the creation of logistics, contract or own hub for the receipt of goods from suppliers. the location is not yet determined, but in any case, will depend on where the manufacturers are. With this initiative, the company expects subcontractors to help reduce lead times and enhance the charge transport in bulking up the Decathlon store that will later serve these products to stores. The ultimate goal is to ensure filling trucks and reduce delivery time to stores. The Decathlon product are manufactured in fifteen countries around the world. However, the production, which is always outsourced, is centralized in geographical areas. In the Spain the French firm has its Bicycle suppliers, mainly in Mataró (Barcelona). In Catalonia, he has plastic products, such as shower caps, socks and metal components are also manufactured. 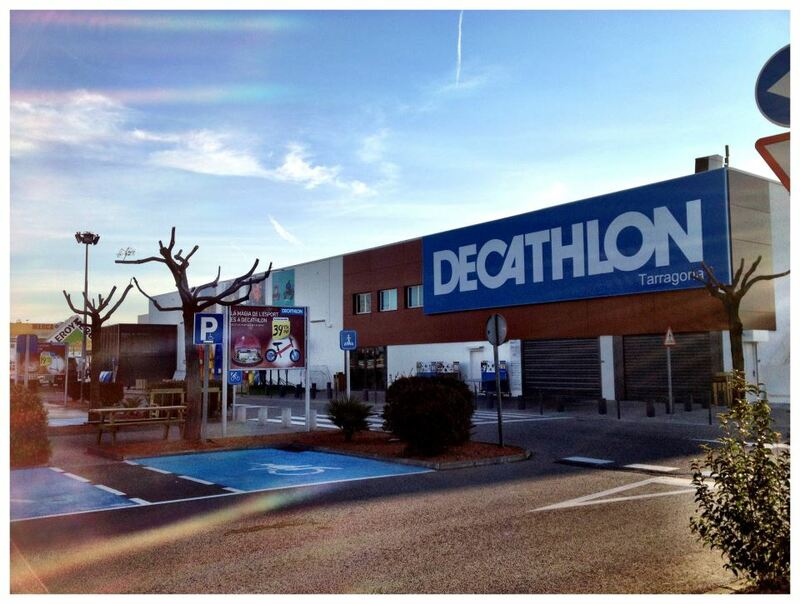 However, the Catalan community has lost a large part of the production of Decathlon, which has gone to Portugal. Morocco is another country that provides numerous articles for Decathlon, especially textiles, while in Asia sneakers and balls occur. The displacement of the Spanish production to Portugal answers a new policy of the French firm globally. Previously always the same products were manufactured in two different places, just in case a provider failed. But now they just have two different qualities for the same item, so that now only select the best supplier for each reference.” Decathlon select and monitor the components and materials as well as the design of the products marketed under its brand. In 2001, the store of Sant Esteve Sesrovires reached an average of 15 hours in the preparation of orders, from the time of receipt of an order to exit the truck to the store. For the current year, management has set itself the challenge of twelve hours, under the average of the entire sequence: the picking, preparing the product, pack it, check it, put it in the dock, and upload it to the truck. In the international arena, the target set by the Decathlon logistics in 2005 provided a range of two to 72 hours for delivery, “regardless of whether the reference should come from the continental store, regional or multiregional” says Cristina Gaitan, head of logistics for Decathlon northeastern Spain. The procurement of stores has also been modified as some changes are introduced in the supply chain. Previously, the priority was to always have stock on the premises, so they were served daily as many times as necessary as long any reference didn’t finish . Following an assessment of the costs, the company opted to get them one day shipping, but with much more material. The Decathlon products are also available via the Internet, but to do so, you must go to the French website (address on the local network in each country has a link). Orders that are made in the French portal are served from the corresponding regional warehouse. This has meant that, nowdays, on-line sales are still residual in Spain. For this reason, one of the projects that the company has in mind is enable an own Spanish channel page for sale. “Bush legs” (Russian: ножки Буша) is a prevailing term in the post-Soviet states that denotes chicken leg quarters from the United States. Imports of U.S. poultry to Russia and ex Soviet countries began in the early 1990s, under a trade agreement signed by the Soviet Union’s last leader, Mikhail Gorbachev, and then-U.S. President George Bush Sr. 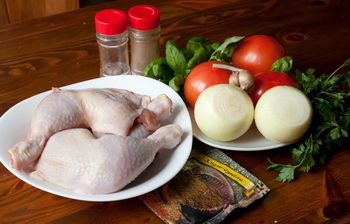 The first shipments of chicken legs arrived as a bitter economic crisis gripped the country, emptying the shelves of Soviet supermarkets and forcing the government to introduce elements of food rationing. The specter of famine combined with political instability ultimately led to the collapse of the Soviet Union in 1991. Used to ill-nourished and generally unappetizing domestic poultry, Russians and other EX-Soviet countries had never before seen such huge chicken drumsticks, and were quick to dub the new product “Bush legs.” Baked, braised or boiled, “Bush legs” have since become part of the everyday diet in poorer households. As of 2009, Russia accounted for some 22% of all poultry exports from the United States, the world’s largest poultry producer and exporter. 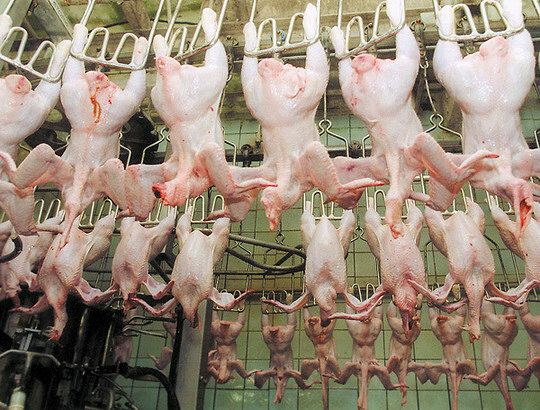 Almost four-fifths of all imported poultry on the CIS market came from the United States. U.S. poultry shipments peaked in 2001, topping 1 billion metric tons, and began to decline as the Russian government began cutting import quotas. The figure stood at 800 million metric tons in 2008 and dropped to 750 million metric tons last year. The quota was further reduced to 600 million metric tons this year and was to reach 409 million metric tons in 2012. Furthermore, as soon as the great commodity deficit of the 1990s was over, Russian public began speculating over the possible dangers of the product, citing excessive levels of hormones, antibiotics, chlorine and other chemicals. 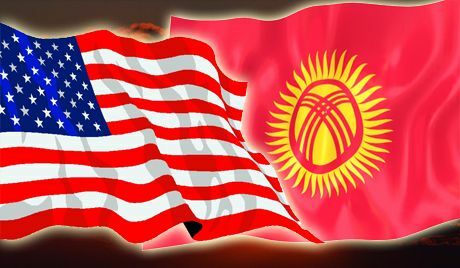 Howewer delivery of Bush’s legs is still continuing to Kyrgyz Republic. Apple has created a closed ecosystem where it exerts control over nearly all parts of the supply chain, from design to the stores. Because of its volume and the synergies in this process Apple gets big discounts on parts, manufacturing capacity improves and saves on air cargo rates. This operational edge is what enables Apple to cut costs and that the margin of their products is greater. Apple began innovating on the nitty-gritty details of managing the supply chain with the return of Steve Jobs in 1997. At that time, most computer manufacturers transported products by sea, a far cheaper option than air transport. But Apple, to ensure that new Macs arrived at their destination in the Christmas season of 1998, he paid $ 50 million just in air charges. Similarly, when in 2001 the iPod was released, Apple realized that they could carry large amounts of music players on planes, making it the most economical way for direct shipping from Chinese factories doors consumers. That mentality, paying exorbitant bills when necessary, and reaps benefits of increased long-term volume, has been institutionalized throughout Apple’s supply chain, and begins at the design stage. When the time for production arrives, Apple has a great weapon, more than 80 billion dollars in cash and investments. The company planned to invest in in the supply chain, during 2012, 7.1 billion dollars and 2.4 billion in advances to suppliers. The tactic ensures availability and low prices for Apple but sometimes limits the choices to others. Before the release of the iPhone 4 in June 2010, rivals such as HTC could not buy as many screens as they needed because manufacturers were busy filling orders from Apple. Apple spares no expense to ensure the secrecy of pre-release. When the iPad 2 came out, the finished devices were packed in flat boxes and Apple employees monitored every handoff from the loading dock, airport, trucks and distribution centers to make sure they were not missing any units. Apple’s retail stores give you a final advantage. Once a product goes on sale, the company can track demand by the store and adjust production forecasts daily. 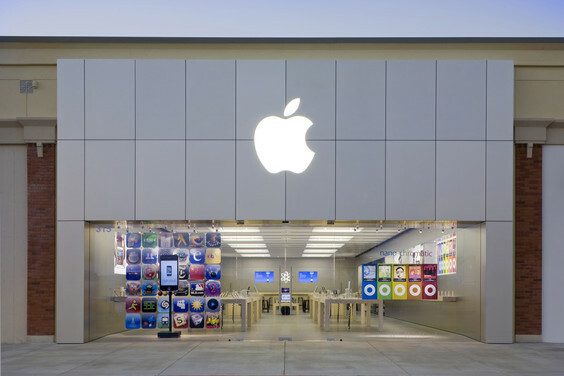 If it becomes clear that a particular product is going to end, Apple unleashes your team and high budgets are adopted to avoid the lack of stock. Much of the enormous benefits of Apple due to this focus on operations, which will remain a priority for Cook. UPS, DHL and FedEX are three of the largest transportation companies consignments (packets) and logistics in the world. Every day millions of packets are delivered in almost every country in the world, and these companys are the three main competitors in this type of service. But when the time of making a decision about using this kind of service comes, is quiet difficult, because the three ones are very positioned and recognized, and they definetly do pretty well their job. So, because of thath and many other reasons, I decided to talk about the comparsion between this three big brands, to clarify what specifically are the specialties of each of these companies and select a service appropriately according to the needs of everyone. In 1907 in the U.S. there was a great demand for private and delivery services. To help meet this need, James E. (“Jim”) Casey borrowed $ 100 to a friend Claude Ryan and settled in Seattle (Washington) The American Messenger Company. UPS uses trucks instead of planes to deliver packages to more than 800 km of overnight. Now Is one of the largest shipment and logistics companies in the world. The American Global package delivery company is headquartered in Sandy Springs, Georgia, que is part of the Greater Atlanta metropolitan area. UPS delivers more than 15 million packages a day to more than 6.1 million customers in more than 220 countries country and territories around the world. 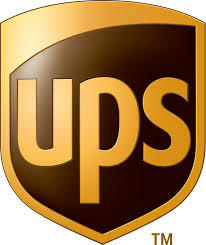 UPS’s primary business is the time-definite delivery of packages and documents worldwide. In recent years, UPS has extended its service portfolio to include less than truckload transportation (primarily in the U.S.) and supply chain services. UPS reports its operations in three segments: U.S. Domestic Package operations, International Package operations, and Supply Chain & Freight operations. 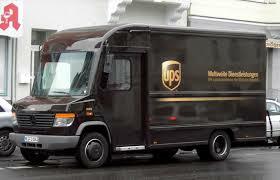 UPS is known for its brown delivery trucks and uniforms, hence the company nickname “Brown”. UPS also operates its own airline and air cargo delivery service based in Louisville, Kentucky. The new UPS logistics lets you operate regardless of the actual size of a business. You can design a product, get a prototype and have it on your desktop in a matter of days and also trying to use the flow of goods as a competitive advantage. Supply Chain & Freight includes UPS’ forwarding and contract logistics operations, UPS Freight, and other related business units. UPS’ forwarding and logistics business provides services in more than 175 countries and territories worldwide, and includes worldwide supply chain design, execution and management, freight forwarding and distribution, customs brokerage, mail and consulting services. UPS Freight offers a variety of less than truckload and truckload services to customers in North America. FedEx Corporation is an American global courier delivery services company headquartered in Memphis, Tennessee in 1971 by Frederick Smith. 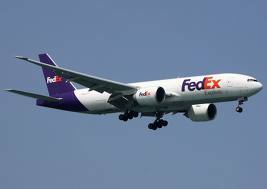 FedEX has a Total Aircraft of 654 worldwide , their Average Daily Volume Packages are more than 3.4 million daily worldwide and Air Cargo volume: More than 7.0 million pounds per day. 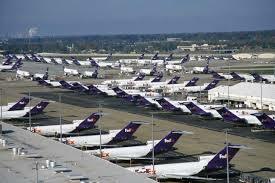 The FedEX employees are more than 140,000 worldwide. Originally founded in 1969 to deliver documents between San Francisco and Honolulu, the company expanded its service throughout the world by the late 1970s. Deutsche Post owns five airline subsidiaries operating for DHL Express, operating a total of 96 aircraft and another 21 aircraft on orders. A survey in Asia ranks first among DHL air express companies and logistics in 8 cities and continues to invest in its operations. DHL thinks attack FedEx and UPS and provide better service and lower rates. It is the second largest market in the EU-China air cargo, with a 29% and is better established in the Asian market that UPS and FedEx. In general terms we can say that the three ones are very efficient, because inspite of the big competition, they have still continued operating sucessfulyy, but big difference between them is tha they have their own speciality, like UPS is emphasized in the land delivery, FedEX is emphasized in the air delivery and DHL is a kind of a combination of the both. So now you can differentiate between this big three companies. And to show you the big competition that exist between these three big brands, here is a DHL’s funny advertising video, hope you like it.